I’ve always liked the friendship established between Link and Saria in Ocarina of Time. You can tell just from the extremely brief moments they spend together in-game that they’re great friends. I like to think Link especially is happy to have Saria as a friend, considering how he seemed to be isolated from his fellow Kokiri. I was reminded of their bond after seeing this piece titled “I waited…” by artist lulles. 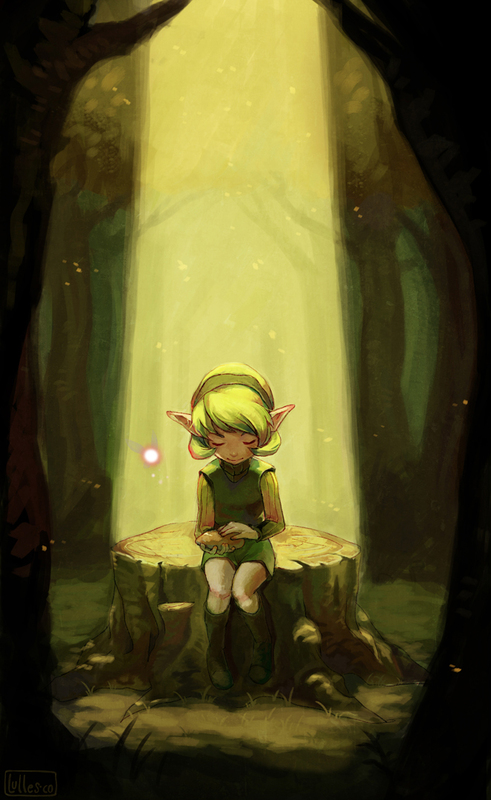 In this portrait, lulles perfectly captures how I imagine Saria feels while she waits deep within the Lost Woods, certain she’ll see her best friend, Link, again. It evokes a powerful emotion, one of longing to see an old friend once more. This is what I love most about the friendship between Link and Saria. It’s a very close and beautiful friendship, one she holds dear. For Saria to give Link her ocarina as he departs on his quest is a powerful symbol, and I enjoy how this symbolism can be interpreted in this piece as well. Friendship is an oft-used cliché in media nowadays, but I love how it’s handled in Ocarina of Time. Many people tend to try and ship characters together, not content with them to be just friends, but I think that a friendship can be just as beautiful. When Link finds out that Saria is a sage, there’s a strong feeling of sadness when he frees her. An understanding of the reality that she must carry out her destiny, and that he must fulfill his own. But, despite their diverging paths, they’ll always remain friends and live on in each other’s hearts and memories. This piece by lulles made me contemplate the depth and significance of friendships. It’s not often that fan art causes me to get lost in ideas or themes like these, but this one managed to make it happen. I believe that alone speaks volumes of just how wonderful this piece of art is. 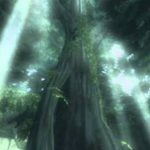 It’s as beautiful as the friendship between Saria and Link, and I think that’s a wonderful thing.